For the past few weeks I feel like I have seen these Anastasia Liquid Lipsticks on my instagram feed every single day. Tasha and I seemed to be lusting after them constantly during our daily whatsapp chats and when I woke up to her messaging me a discount code I took the plunge and ordered four. They're a mixed bag to be honest. Baby Pink is by far the worst. Not only does the shade not suit me at all (it's too milky for my complexion and looks odd), the formula is just horrible. I obviously knew that these were 'matte' liquid lipsticks but it highlights every dry patch on the lips, is extremely drying and looks almost chalky. Add to that that it emphasises lip lines, stays tacky after application and leaves a horrible ring of colour as it fades I was pretty much ready to throw the rest out. Lovely fairs better-it has more mauve in it so stops me looking so washed out. It's still drying but not as drying as Baby Pink and when it fades it doesn't leave that nasty ring. 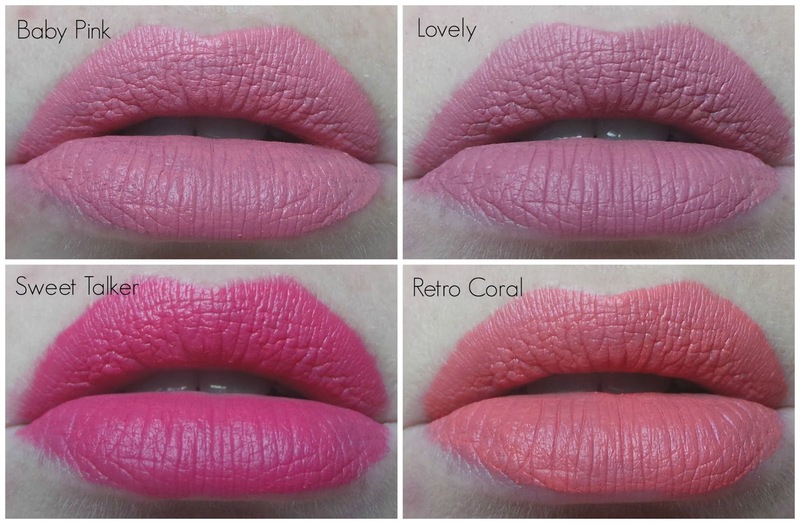 Sweet Talker and Retro Coral leave me on the fence. 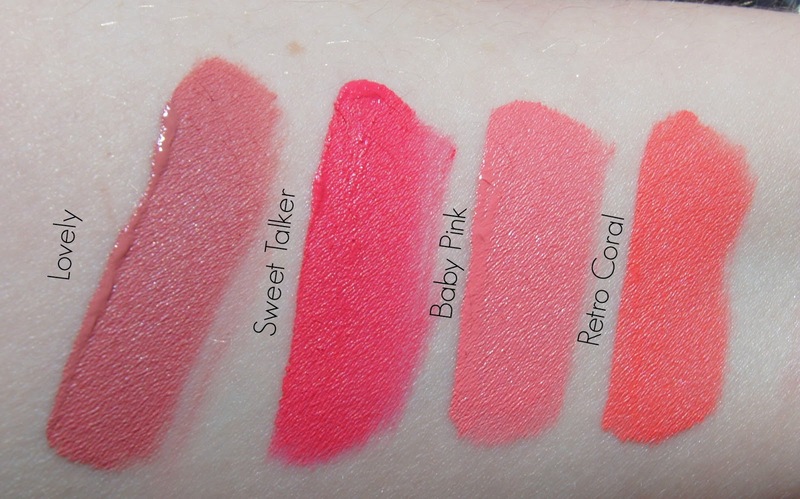 I really like both colours (Sweet Talker is probably my favourite shade of them all) but again they feel quite uncomfortable on the lips and don't fade well. Personally for a matte liquid lipstick I prefer either the Kat Von D everlasting liquid lipsticks or the Sephora Cream Lip Stains over these. 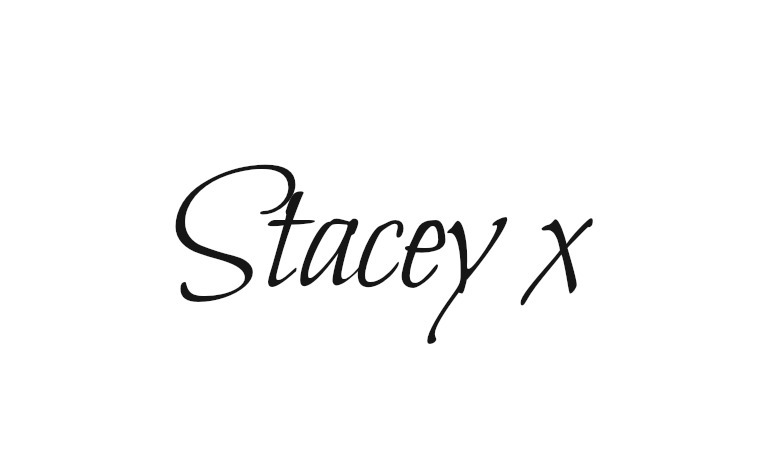 Latasha has also written a review on the two she picked up (forever mutual enablement) and you can read her thoughts here.